The Mobile web is growing at a pretty rapid pace, and is becoming more and more significant, especially in terms of search traffic, because more and more people are now using their smartphones to Google things up. Since smartphones have become so powerful these days, there's no reason why they shouldn't experience the full richness of the web. Engaging smartphone users by doing mobile SEO is one way to increase your traffic. And in the near future, Google intends to penalize sites in search results that are misconfigured for mobile. Here are some of the mistakes people make in mobile SEO, and how to avoid them. 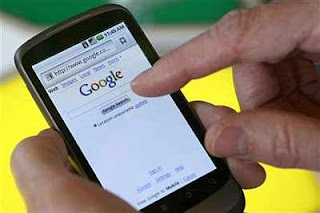 Mostly, webmasters have separate smartphone versions of webpages in addition to their desktop counterparts. When a smartphone user lands on a desktop page, he is usually redirected to the corresponding mobile version. But sometimes, these redirections might not go as planned, as described by the following scenarios. When no mobile version of a page is available, the user might be getting redirected to the homepage. This means the user has to do a lot of work, and isn't generally happy about it. Suppose you have a website where you can search and/or sort data, as is the case with product listings. Now, the URL parameters (e.g. www.example.com/search.php?product=13) for the desktop version might not be parsed properly, or at all by the mobile version, which means that smartphone users will not be able to search the content. You might have set up redirection checks for some mobile platforms, but not all. For example, you might have checked for Android and iOS, but missed out on BB, WP, Ubuntu etc. Check out your website thoroughly, and see if none of these problems are occurring. If they are, then most probably, there was no equivalent mobile version of the desktop content. The best solution would be to just return the desktop version of your pages to smartphones, instead of redirecting them. Sometimes, users are able to open a page on a desktop, but they get a 404 error when accessing the same page on a smartphone. Again, there can be various reasons. The page a user is looking for on mobile might not actually exist as a mobile version. If you recognize a user is visiting a desktop page from a mobile device and you have an equivalent smartphone-friendly page at a different URL, redirect them to that URL instead of serving a 404. We must optimize our blog for mobile devices too. Thanks Qasim Bro for this post. Wouldn't responsive design be making most of this irrelevant anyway? Very much informative post, important as well. I know a tool that is fully applicable for mobile SEO works. It's my favorite ColibriTool. You can use ColibriTool for keyword research and so many other SEO works. Using the function “find more keywords”, ColibriTool can suggest similar keywords to the ones you are already monitoring.You can also identify keywords visitors typed in order to find your webpage. Our website is well-optimized for mobile use. Thank you so much for this article!